WASHINGTON-- President Donald Trump is poised to unveil a long-awaited plan Monday that aims to stimulate $1.5 trillion in new spending on the country’s ailing infrastructure over the coming decade, but many lawmakers in both parties say the president isn’t providing a viable way to pay for his initiative. White House aides say Trump is open to a new source of funding to cover the federal share - such as raising the federal gas tax for the first time since 1993 - but Congress will have to make such decisions. He has repeatedly called for a sustainable source of funding. At the recent GOP retreat in West Virginia, he floated the idea of raising the gas tax. It’s ‘‘the elephant in the room,’’ Shuster said. Democrats have long championed public works projects as a way to create jobs and stimulate the economy, but they are calling for a far larger federal investment than Trump will propose. Just last week, House Democrats unveiled an alternative plan, dubbed ‘‘A Better Deal to Rebuild America,’’ that envisioned $1 trillion in direct federal spending - five times what Trump will propose. Another $20 billion would be spent on ‘‘transformative’’ projects, such as plans to build tunnels for high-speed trains. Taken as a whole, Trump’s proposal is more of a ‘‘financing plan’’ than a ‘‘funding plan,’’ said Mike Friedberg, a former staff director of a subcommittee of the House Transportation and Infrastructure Committee. Friedberg said while Democrats prefer the latter, he sees ‘‘a little momentum’’ on Capitol Hill for some sort of deal. ‘‘I don’t think it’s dead,’’ he said. The idea that $200 billion in federal money will leverage more than $1 trillion in overall infrastructure investment is ‘‘just a prayer and hope,’’ said Martin Klepper, who served most of last year as executive director of the Department of Transportation’s Build America Bureau. Klepper said the federal government has provided at least half of the financing for major projects like the new Tappan Zee Bridge in New York and the expansion of light rail in San Diego. 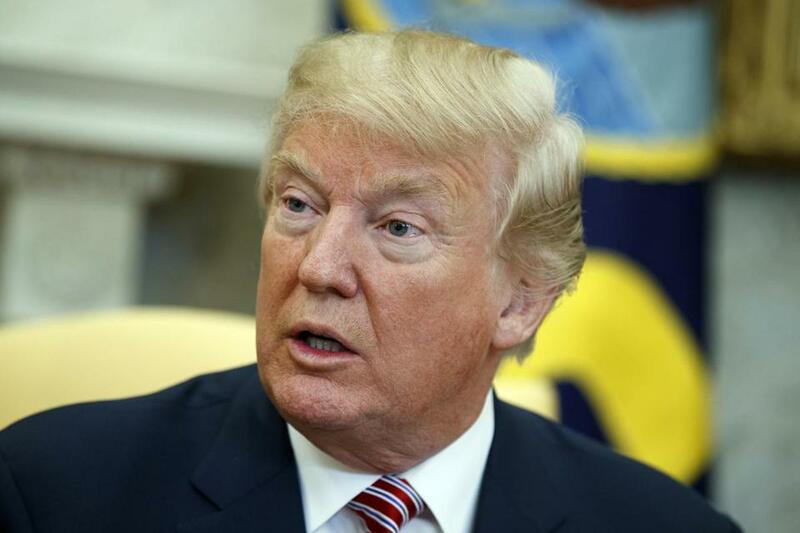 He said the White House is ‘‘misleading’’ people when it claims that the federal government can fund 20 percent or less and still see the kind of massive transportation upgrades that the American public expects. An analysis of Trump’s first budget released by Senate Minority Leader Chuck Schumer, D-N.Y., cited $206 billion in proposed cuts to existing infrastructure programs, leading Democrats and advocates to question whether Trump was merely moving money around. ‘‘Funding infrastructure by cutting infrastructure is not a serious proposal,’’ said Beth Osborne, senior policy adviser for the advocacy group Transportation for America and former senior official in President Barack Obama’s Department of Transportation. Trump’s infrastructure plan was initially advertised as a priority for his first 100 days in office. As it failed to materialize, many in Congress began feeling that the whole effort was a ‘‘boy-who-cried-wolf’’ scenario. The White House designated the first full week in June as ‘‘Infrastructure Week,’’ but it quickly imploded after former FBI Director Jim Comey’s explosive testimony before Congress about his firing and interactions with Trump. The White House attempted another infrastructure week in mid-August, the week that white supremacists rallied in Charlottesville and Trump blamed ‘‘both sides’’ for the violence.